Would you like a special gift just for you? 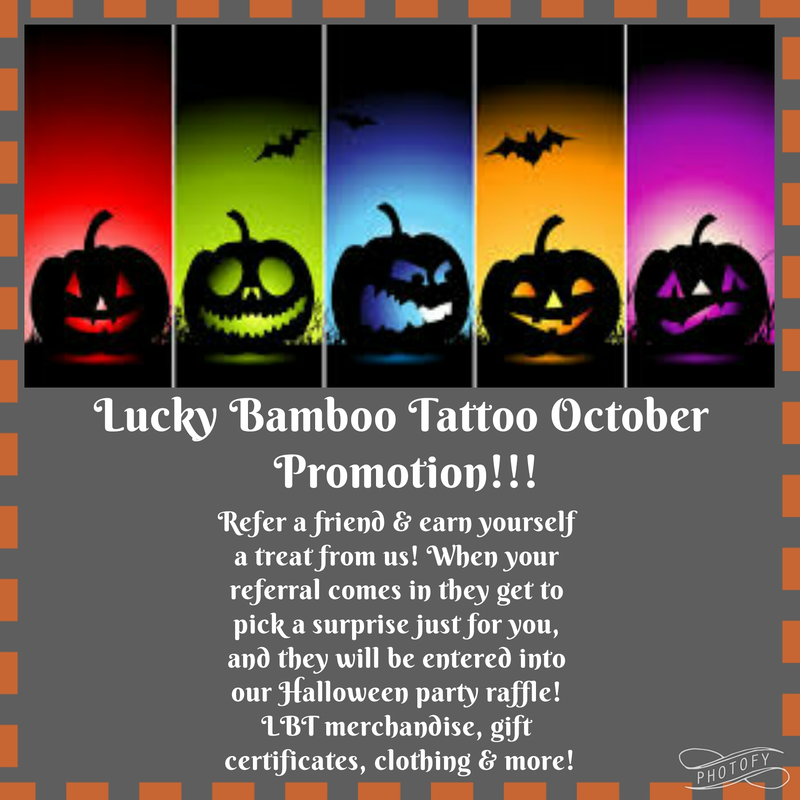 Refer a friend this month to Lucky Bamboo Tattoo and you will receive a surpise! Here is what you have to do, when your friend comes in to Lucky Bamboo Tattoo they will pick out a special gift just for you! LBT Merch., gift certificates, clothing and more! Your friend will also get a free raffle entry into the Halloween party drawing! So refer a friend (or five) and get free gifts this Halloween! !